Football never stops. This is a common saying all across the United States, and for many people, it extends beyond a passion for the game. It becomes a way of life. 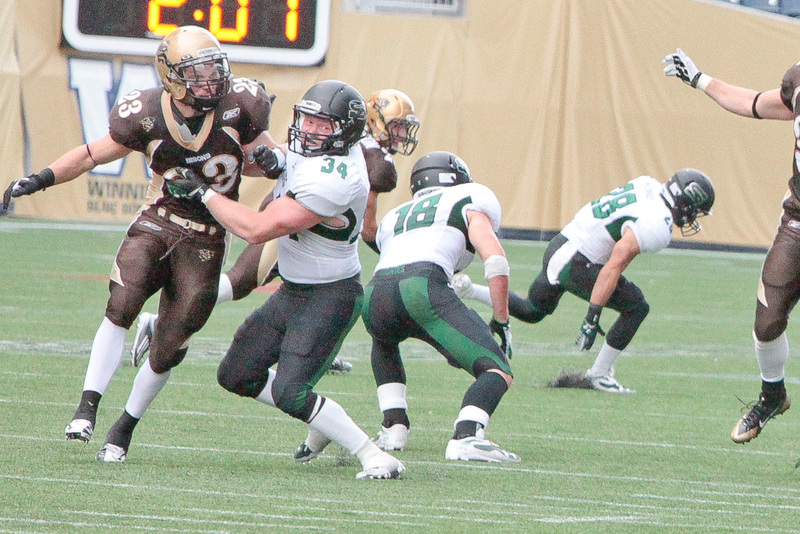 Bison halfback Brett MacFarlane can speak firsthand to the contrast in playing/coaching styles down South, compared to Canada. He spent 10 months in Menifee, California, participating in his sophomore season with the Paloma Valley Wildcats in 2007-08. The former Grant Park Pirate noticed the change of intensity immediately. The training in Menifee consisted of base workouts, aimed to increase strength, power, and endurance. 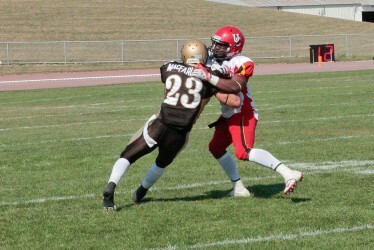 Following that was spring football, at the same time as in Canada. The biggest difference came in the summer. Coming from Winnipeg, MacFarlane, a quarterback at the time, was used to having the summer off after the season, and returning to camp in mid-August. The case was far different at Paloma Valley. “Every day you have workouts with your team, five days a week, and on the weekends you have passing tournaments where you go to different parts around Southern California, different schools within your district,” mentioned the seasoned DB. While the change in training definitely came as a shock, MacFarlane took pleasure in honing his craft and improving as a football player. While MacFarlane favoured the attitude taken to the game in America, he also preferred the playing style. Fellow Bison defensive back Jayden McKoy’s American football experience occurred in a slightly different form. 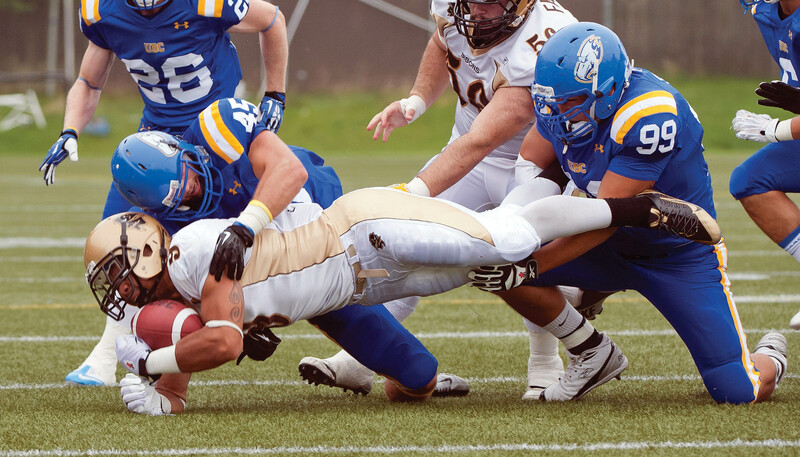 This past February, he competed as one of the 60 members on Canada’s U19 junior national roster against Team USA as part of the 2014 International Bowl series. The game was played at the University of Texas-Arlington. Much like MacFarlane, he enjoyed the difference in playing style. 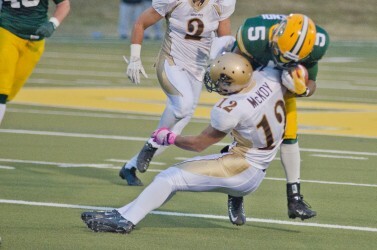 Both McKoy and MacFarlane also touched on the somewhat complicated coverage systems run by the Bison secondary. In America, with a smaller field and different assignments, the game became slightly simplified. The effect that playing in the United States had on both players is quite evident. While they may prefer the playing style in America, there is no doubt that what they’ve learned can—and already does—apply to their performance on the field in Canada.